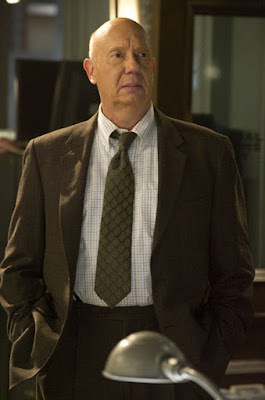 Here are a few advance photos from the upcoming episode of Law & Order SVU “Merchandise” which will air on NBC on Wednesday, October 6, 2010 at 9 PM ET (check your local listings). 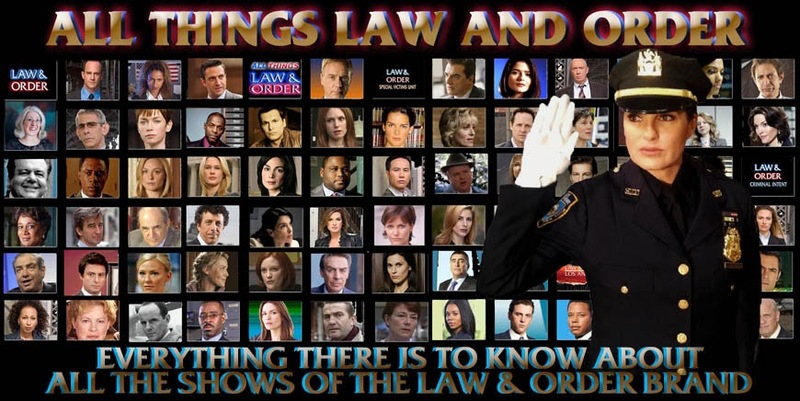 My recap and review of Law & Order SVU "Merchandise" can be found at this link. 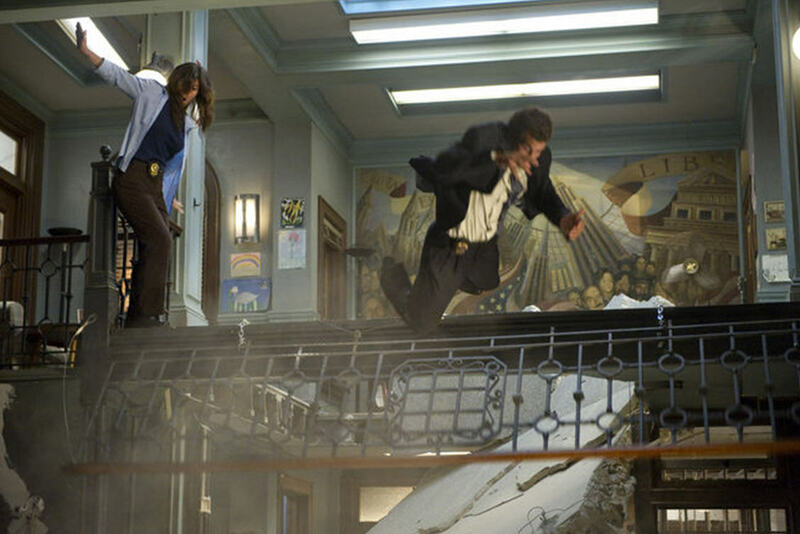 So this looks like the episode that's going to explain why the SVU precinct looks different, with the huge explosion and all. 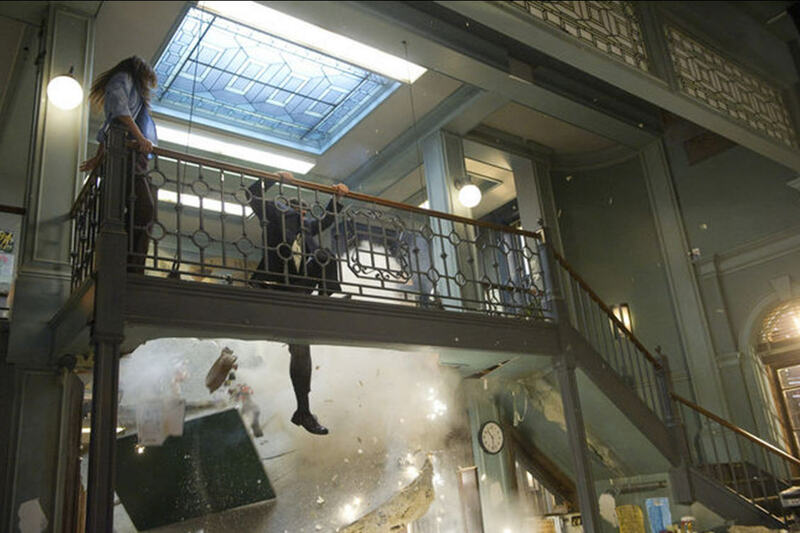 At first I didn't think the explosion was in the precinct, but the guy flying through the air has a badge and the second explosion picture shows the stairs leading down to the first floor of the precinct. Or, maybe something explodes and causes water to flood in. The episode synopsis from NBC says Cragen has to deal with a crumbling precinct. Maybe the building is just getting too old and they have some sort of building failure. Oh! Thanks for the clarification All Things. It just looked like a normal SVU explosion to me. I can't wait to see how the episode plays out! 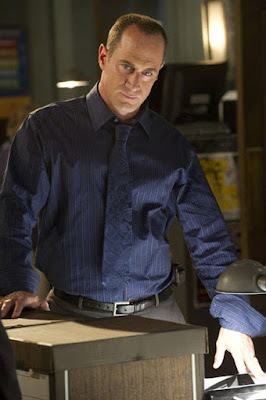 mrk2p - yeah, I know, either NBC tagged the pictures to the wrong episode, or they made changes to the episode and never updated the photos. I don't get it either. The site where I get my NBC publicity photos still has them tagged to "Mechanside". Go figure!